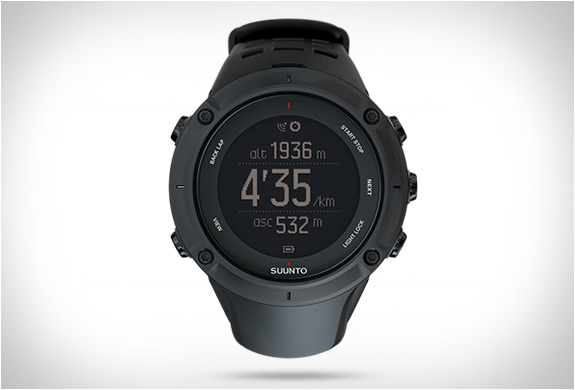 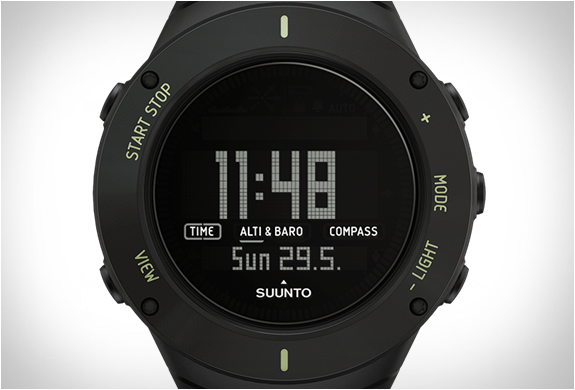 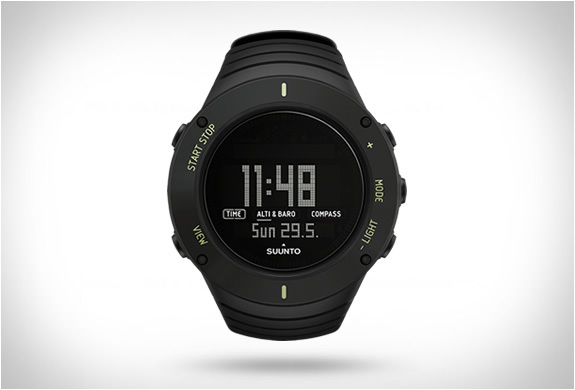 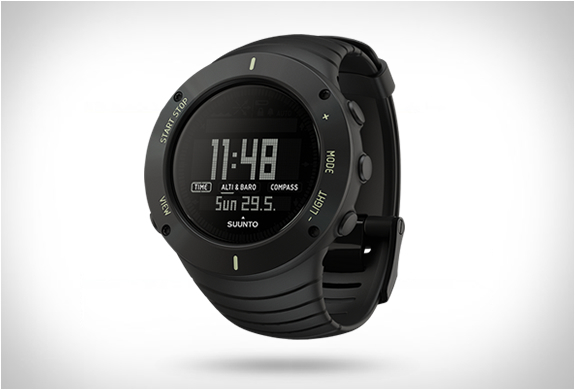 The Suunto Core "Ultimate Black” is the newest member of the Suunto Core family. 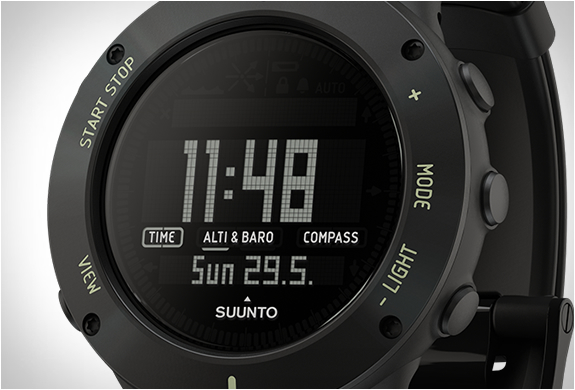 The adventure-ready watch is an must have tool that provides essential data for all your adventures, it packs an altimeter, barometer compass, weather information (such as storm alarm, temperature, water depth, sunrise/sunset times), into a tough yet sleek design. 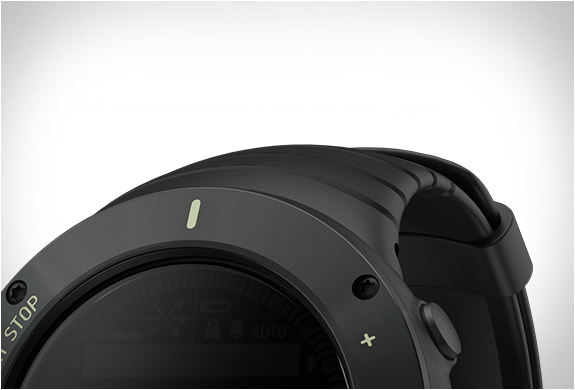 The watch also features a black steel top ring and fluorescent bezel graphics that illuminate in the dark.